This entry was posted in Domesticity, Family, Memoir, Parents and children and tagged Aunt, family, Ironing, Laundry, learning, Memoir, Polyester, Trendsetter. Bookmark the permalink. 5 Responses to What Does Polyester Have To Do With Playing Monopoly? What awesome use of the color wheel! Thanks for sharing! Oh my gosh Lynn, this story really took me back to my childhood! I too learned to iron at a young age. I rarely buy anything that needs ironed now. I do believe the thimble will be the next piece to go. Great story! I always look forward to them. Although I have and still use an iron, but I’ve never used a thimble. That item can be tossed for all I care. …send Grandma’s Meatball recipe!!! 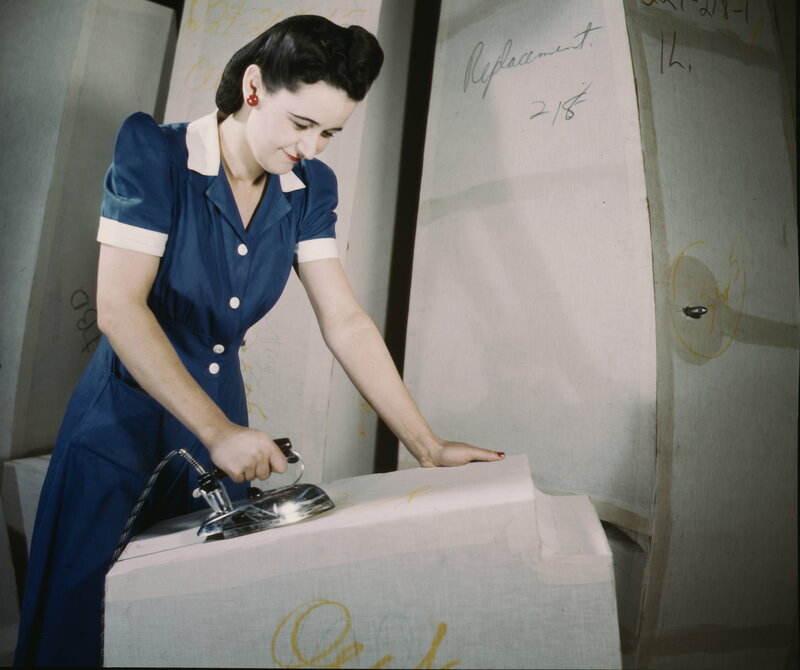 I remember Grandma ironing Mom too. I didn’t learn til I got into the Marines. Same way though. Great memory clip – thanks.